Many people considering plastic surgery want to hear about the experience from real patients. While you’ll never have the exact same experience as someone else, it’s only natural to want to learn more about cosmetic surgery from a patient who has gone through an entire procedure, from consultation to recovery. 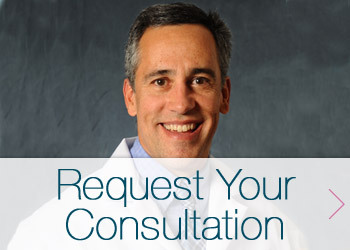 As you gather information regarding the plastic surgery procedure that is right for you, Dr. Garcia can put you in touch with other patients who have had the procedure you’re considering. Until then, read more about the personal experiences of a few patients. Her rewarding career as an Operating Room Nurse interrupted, Shannon had to stop working soon after being diagnosed with multiple sclerosis (MS). The steroids she was prescribed to control her disease caused her weight to increase dramatically. “I stopped counting when I reached 205 pounds,” she recalls. After years of suffering with excess weight, things changed when Shannon’s regular doctor moved out of the area. “My new doctor took me off the steroids and I lost a lot of weight. I got down to 145 pounds.” By adding in regular exercise, Shannon lost even more weight and got down to around 138 pounds. “In thinking about having a tummy tuck in Glens Falls, the turning point for me,” Ann explains, “was when I lost weight after my second child. I dieted, I did sit ups—nothing was working.” Ann took a hard look at her abdomen and realized, “It’s skin. It’s never going to go away.” She also took note of her deflated breasts. Then she began thinking about finding a cosmetic surgeon in Saratoga Springs or Glens Falls for a combination tummy tuck and breast augmentation. Everyone knows life comes with both ups and downs, but Barbara knows it better than most people. One of the challenges of Barbara’s adult life has been a long term battle with breast tumors. Over the course of 28 years she had 26 large tumors and multiple surgeries to remove them. Now, at the age of 65, she is cancer-free, thanks to a double mastectomy. As part of her mastectomy, she chose breast reconstruction in Glens Falls. “I didn’t want to give up on my breasts,” she explains.